OK, that’s not exactly how 1990s rap anthem by Sir Mix-a-Lot goes, but you get the idea. Big typography is trending in a major way. The point of text in your design is to be read. From navigation, to blog entries to item descriptions for e-commerce, type is meant to be seen and understood. Going big is a great way to do that. What actually counts as big typography? It can be in the eye of the beholder, but here are a few loose guidelines. Big type trends are coming from a variety of places and can be even be linked to other design trends. Much of what we are seeing stems from responsive design, mobile and app design and even flat design trends. Why? All three focus on usability. Think of all the clickable, or tap-able, buttons out there. They have to work on every screen size – desktop, tablet, mobile – with ease. Users need to be able to read actionable words quickly and clearly so they know what to do. Click here. Buy now. Add to cart. Submit. These are the kinds of phrases that are influencing typography in general and encouraging designers to go big. And the more users see and interact with bigger type, the more they come to expect it. What works for small screens is starting to translate to a wider design audience. For a while, designers have been going bigger with type for mobile devices – consider that the average character count per line is 60 to 75 for desktop browsers and 35 to 50 for mobile. More and more websites built with mobile-forward thinking use more limited font palettes, generally sticking to a single family plus one other typeface. Because typefaces are limited, it encourages designers to create flow and hierarchy with type size, often resulting in larger type styles. 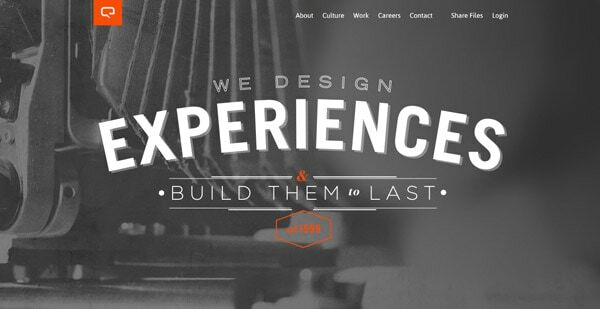 Responsive design has also paved the way for more fluid typography styles. Bigger screen equal bigger type. The same goes for line spacing. Designers are accustomed to figuring space into type when it comes to readability for small screens, getting more used to the look of fewer letters per line with more space between lines. Once this started to “look normal” for small screens, it was only a natural progression that designers started toying with the same concept for larger screens. 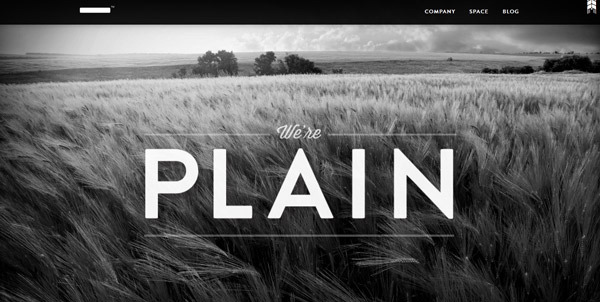 Contrast plays a role in big typography as well. Generally smaller type sizes need more contrast in terms of readability, but when words are as big as the background you can bend those rules somewhat. Thankful Registry (above) proves that by going big with text but low on contrast. Text is still clear and readable because of its super-sized nature. The flat design trend has impacted typography as well. 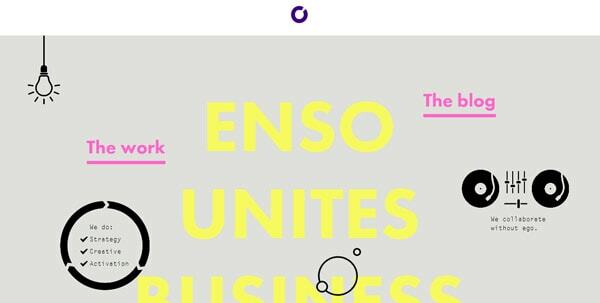 Flat design often employs a scheme that uses strong and minimal typography. 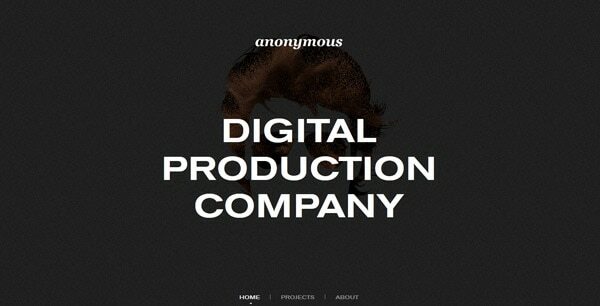 Simple sans serif typefaces that have plenty of variations and weights are a common characteristic. When you are thinking about using oversized typography, it is best to keep the font palette simple. (You don’t want to overdo it with effects.) Stick to a straightforward typeface, and only use one or two variances. Adding in a secondary typeface is OK, but use it sparingly. Try to focus on a single bold type face for primary lettering. Block lettering and characters with heavy strokes are making an impact. These characters are commonly found in flat design outlines because they work well against the brightly-colored backgrounds that are commonly used in flat design schemes. One block equals one word (or phrase). In addition to simple aesthetics, flat design focuses on simple language as well. That carries over in a major way when it comes to oversized type. With bigger typography there is less room for extraneous characters, making it important to be on point with words. This has helped give way to more modular designs that center around a block with one word or phrase inside it. Big type with big color is also becoming more popular. Bright colors (which are trendy in a variety of applications; just look at neon colors in fashion right now) work best with big lettering. 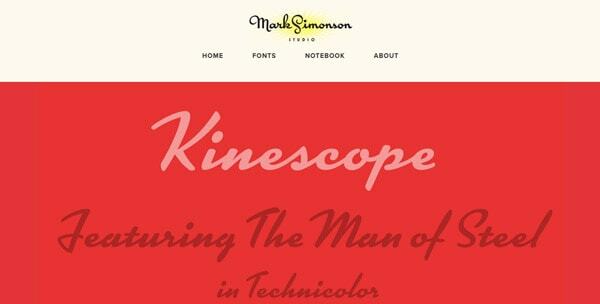 When working with a lot of color, especially in type, bigger is often easier to read. 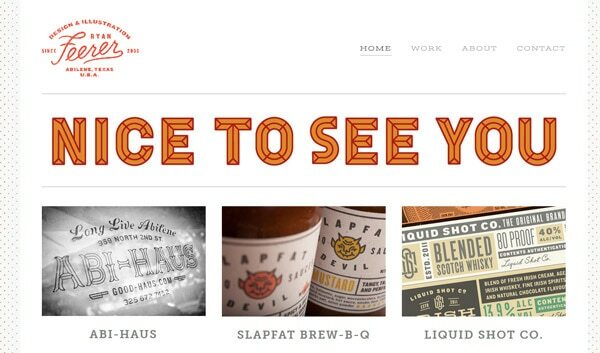 A variety of projects can benefit from big typography. Specifically, it can work great as an art element if your overall design is a little soft in terms of strong visuals. 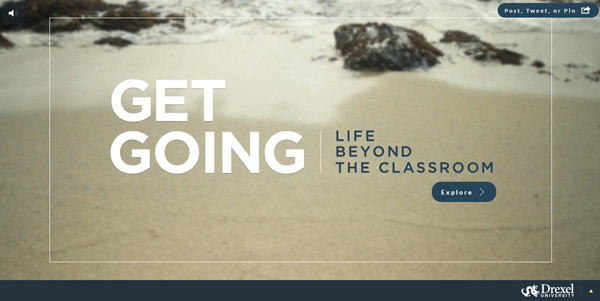 Maybe you only have a background and no stellar images, try big typography. 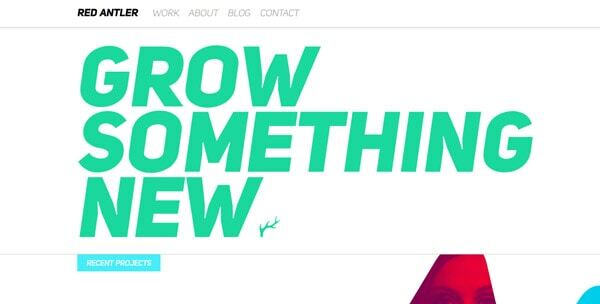 Many designers are using big type for coming soon and launch pages. These single-page designs often tell you about an upcoming website, product or app and encourage you to sign up for email notifications. 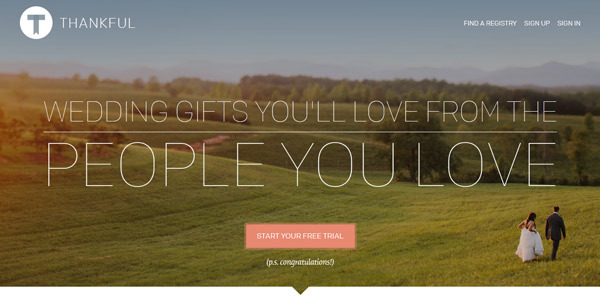 Big type can also be a strong option for simple landing pages that take you into a website. Use it to direct users how to proceed on pages that include strong images. 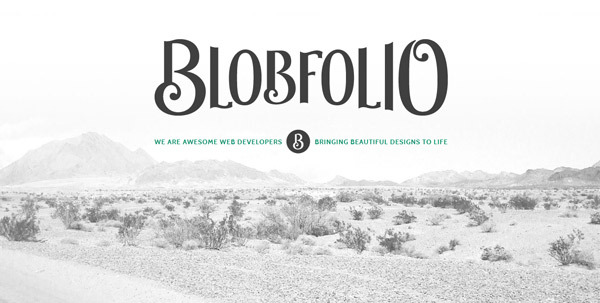 Designers also love big type when it comes to creating portfolios. And the type that is big is often a name. Make sure people who visit your site remember who you are as part of the overall design scheme. 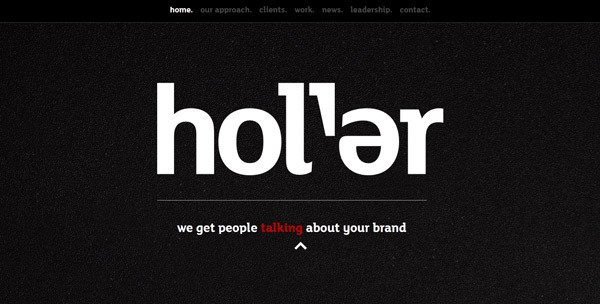 Big typography is gaining popularity now because designers have already readied users for the look. Since many of the concepts and style are borrowed from familiar design schemes, users aren’t taken aback when type is huge. What it really boils down to is readability and usability anyway. If users know what to do and where to navigate and what to click and your type is oversized, then it works. Great writing on my favourite subject. Great article. Definitely makes you re-think the way typography is used in any graphic design work. Am I the only one who finds this trend irritating? I find it odd how many people who consider themselves “creative professionals” want to follow trends, especially in a portfolio. My understanding of creativity is leading, not following. great article! I enjoyed reading it and I especially love big type! I wondered where you found this lose guidelines to declare a specific font-size as big font? !